While both Samsung and Huawei are expected to showcase new products in Barcelona between February 25 and 28, the world's two largest smartphone vendors will actually unveil their next-gen flagships at special events in San Francisco and Paris respectively. That leaves the MWC 2019 spotlight up for grabs for brands like Nokia, Sony, LG, Oppo, OnePlus, and Xiaomi, all of which plan to take the wraps off exciting new devices and groundbreaking technologies at the world's biggest exhibition for the mobile industry. Even though we've had reason to expect Xiaomi among the 2019 Mobile World Congress protagonists for almost a month now, the company provided official confirmation earlier today on Twitter. 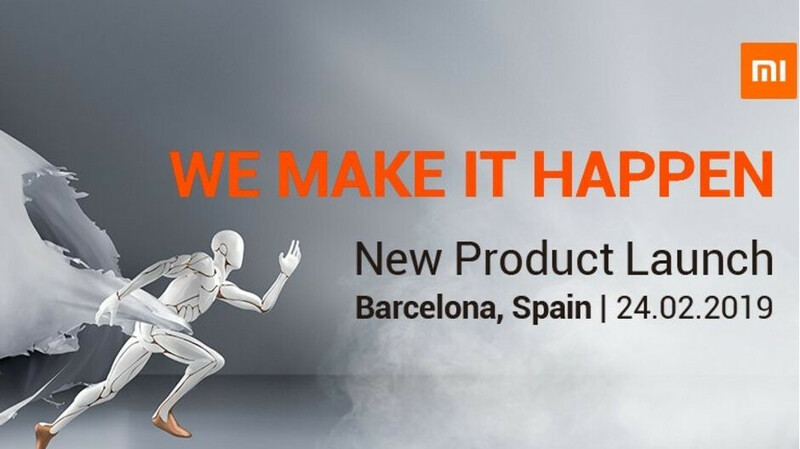 A "new product launch" is finally slated for February 24, which is technically the day before the actual start of MWC 2019 in Barcelona. It's also when the Nokia 9 PureView and LG G8 ThinQ are scheduled to make their formal debut, so whatever Xiaomi has in the pipeline, capturing the limelight sounds rather tricky. Of course, that's not as bad as launching the Mi 9 on the day of Samsung's massive Unpacked event, when the Galaxy S10 lineup and Galaxy Fold should also see daylight. It remains to be seen exactly what Xiaomi intends to display at MWC 2019, as the company's history at these major Western expos is short and fairly unimpressive. That being said, a pre-release demonstration of an innovative double folding smartphone is very much a possibility. The same goes for the official announcement of a 5G-enabled Mi Mix 3 model that could then hit various European markets where Xiaomi has made great strides last year. Unfortunately, the image and motto accompanying the MWC 2019 event confirmation on Twitter aren't exactly easy to decipher. Xiaomi wants to "make it happen" with unnamed products you're asked to guess. A follow-up tweet touting the company's "Mi Ecosystem" achievements seems to suggest we'll simply get more smart home devices and accessories, but that can't be it. I think there is little time left for Xiaomi to overtake Apple either. Keep in mind all Android vendors would have to double the amount of sales just to equal Apple’s 200 million sales a year.